Hello. I’m Hannah. I’m many things; a mum, a wife, a daughter, a sister, an HR professional. I have recently become the owner of a tech start-up. I have a degree in psychology. I’m a friend to so many beautiful people. I also have Bipolar Disorder. Bipolar doesn’t define who I am but it is a huge part of me. Which is why I tell new friends about my illness very soon on in our relationship. Sometimes even the “first date”. It has become a bit of a running joke with my husband – when I come back from a drink or coffee with a new acquaintance he says “so did you tell them about your bipolar?”. Invariably I say “yes!”. To be honest I haven’t always been so open about it. For a long time, I felt so much shame. If you had told me 6 years ago that I would end up having bipolar I wouldn’t have believed you. Sadly one of the reasons I would have had that reaction was because I saw myself as “normal”, whatever that means. I had a successful career, a loving marriage, stable friendships. I wasn’t on the fringes of society, I didn’t take drugs, I wasn’t a creative person and I wasn’t particularly “moody”. All of the stereotypes that exist for people suffering with bipolar, I was the opposite. But, after the birth of my daughter, my first baby, I became unwell. Very unwell. I became severely manic, followed by cycles of crippling depression, and was eventually diagnosed with Postpartum Bipolar disorder triggered by childbirth. I had no idea that this form of bipolar even existed let alone what the warning signs were. None of us did. What was meant to be the most exciting and special time of our lives became an absolute nightmare. This illness came storming into our lives like a hurricane, ravaged us, and left us to pick up the pieces. One of the most common questions people ask me when I tell them about my bipolar is “can you actually remember anything from when you were manic?” The answer to that is I can remember almost everything. At no point did I lose touch with reality completely; I didn’t become psychotic during my mania as some people do…thank goodness. There are lots of fuzzy memories but many of them are crystal clear. Which is how I am able to share so many of them with you. The second common question is “how soon after the birth did anyone realise you were sick?”. That’s a much more complicated answer. I didn’t give birth and then immediately have my mental health spiral out of control. It was gradual, and by gradual I mean over a few weeks. It is important to note that neither myself or my family or friends had any idea that you could become manic or high after childbirth. Everyone was keeping an eye out for the baby blues, or a depressed mood, as was I. So when my mood started to get higher and higher, everyone was probably quite relieved that I seemed to be coping well and had so much energy. Until that high meant that I wasn’t coping well. When it very quickly meant that I was in fact desperately unwell. Throughout my pregnancy, I felt like I had it all together – other than the fact I vomited daily with morning sickness. But vomit aside, I felt quite confident that Nick and I would make pretty good parents, that we had bought all the right baby paraphernalia and that we had put in place some good support strategies for when the baby was born. I had never suffered from any mental health issues in my life, so I was quietly confident that I was going to be absolutely fine in that regard. I ended up being induced because of high blood pressure, which I was happy about because I felt like I had some control over the birth and when it was happening. It turns out that having an induction made no difference to the whole control factor in the end. It was a traumatic childbirth, which resulted in me going into shock straight afterwards. For over an hour I couldn’t stop shivering, uncontrollably chattering my teeth. I remember feeling sad that I didn’t get that cute mother-baby photo straight after the birth. As it turns out that was the least of my worries. Little did I know the irreparable chemical changes that were starting to occur in my brain. I stayed in the maternity ward overnight. I didn’t sleep a wink. I remember feeling that was completely normal, and I know for some people it is. The odd thing was I just didn’t feel a tiny bit tired. In fact, I felt unusually great. The next day my Obstetrician came to visit me. I didn’t have any pain at all, which she was surprised about, considering the birth I had had. I have a clear memory of thinking that I was some sort of star pupil, and felt surges of confidence whenever I got any positive feedback about my speedy recovery. Coming home from the hospital, I set about doing “important” jobs like creating a private Facebook group for Alice, setting up a YouTube channel for her (I know seriously?) and downloading apps that tracked my baby’s sleep and nappy contents. Not really priorities to most people that early on in motherhood, but at the time I thought I was just being very organised and efficient. I embarrassingly showed one of our friends the poo graph on the app when he came to visit. I was so enthusiastic about it- “look you can even see visually in a pie graph what colour it was!”. I recall shoving the iPad right under his nose and completely invading his personal space. Needless to say, he was not quite as enthusiastic about the situation. We tried to settle into the first week of having a newborn, with Nick doing an amazing job of looking after Alice, and me running around doing “other” jobs. Breastfeeding was going well and I had plenty of milk, but I can vividly recall how I felt when I was feeding – an overwhelming feeling that I should be doing something else – getting on with other things. Sadly I even felt irritated when it was time to feed her, and was very keen to start Alice on a bottle so Nick could help with some of the feeds. My mind was starting to become very full of a million thoughts and I was starting to look for ways to focus on those thoughts rather than having to tend to my baby girl. I wasn’t really sleeping at all. I would get up to breastfeed at around 1 am and stay up until the morning, scrolling through Facebook and frantically messaging people to tell them about Alice and share details of my awful birth. I had so many thoughts in my mind that I just had to get out. I even sent a bulk email to over 30 workmates with multiple pictures of Alice, telling them I was sure I would be back to work in no time and that I missed them. I messaged a real estate agent we knew and told her to come round and give us an appraisal (without mentioning it to Nick first). I went and got my haircut in the local mall when Alice was 5 days old, and I can clearly see the hairdressers face when I said how old my baby was, and also her slightly concerned face as I talked non stop at a hundred miles an hour. On that same trip, I also bought myself eight cardigans, all in different colours. I got all of them on sale so was pretty chuffed with myself and my fabulous bargain hunting. Then a week in my mum came to stay and we ended up having a huge argument over I have no idea what…I stormed out of the house and ran down to the local park where I called Nick who came home from work. At the time Nick thought I was having a hard time with sleep deprivation and dealing with a new baby and that Mum wasn’t helping the matter. It was a very peculiar time and even though I know my friends and family thought my behaviour was unusual, they had no idea what exactly they were witnessing. One of the hallmark signs of mania is exaggerated self-confidence. I had this symptom in truckloads. I remember putting a pile of makeup on a few days after coming home from the hospital and looking at myself in the mirror and thinking “wow Han you look really good. How many people look this beautiful straight after giving birth?” I had never felt so confident about my appearance or about what I was capable of. I distinctly remember thinking that I was an extraordinarily competent and incredible mother, wife and human being in general. When in fact I was the complete opposite. I honestly thought Alice was the most beautiful baby that ever lived. I was so proud that we had made her. I really wanted to show her off to other people. I never would have intentionally caused her harm. But looking back it was probably how you feel about a precious porcelain doll. My slip into mania took away that real mothering instinct. It gradually turned me into a self-obsessed monster who was unable to take care of her baby. There are many reasons I wanted to share my story. The biggest reason is that mental health still has such a terrible stigma. There are so many people hiding the fact that they are suffering for the fear of being judged. Unable to tell friends or their employer and who feel so isolated and worthless. It absolutely breaks my heart. So I want to pour that heart out to you, to help you understand what this illness is and how it affects people. I want to normalise it by speaking openly and honestly with you, to share some sad stories but also to share some amusing ones, to make it seem less “scary”. Because mental illness – especially illnesses such as bipolar, schizophrenia and personality disorders – scare people. We are scared by things we don’t understand. We make judgements based on very little knowledge of the facts. I based my opinion of bipolar on movies, TV shows and textbooks. Which is what we all do. When I became ill I frantically searched online for other women who had experienced this form of bipolar. I found a few snippets and articles but what I desperately needed was to see a story of someone who had come out the other end; a success story. Someone who was living a stable and happy life. All I could find were the horror stories. The broken marriages and hospitalisations. For a long time, I felt that my life was ruined, that I was going to struggle for the rest of my life to keep my bipolar under control. It was truly frightening. So my hope is that my story will provide comfort and hope to mums who have been diagnosed with this illness postpartum or who are struggling with any form of postpartum mental illness. For it to extend beyond that – to reach any individual with a mental illness who feels alone, hopeless or judged. And for it to continue to open up the conversation about the way we view mental illness as a society. My dream is that one day people might feel as comfortable talking about their mental health as they do about any physical ailment. We wouldn’t dream of judging someone because they suffer from arthritis or diabetes. We don’t look away if someone is in pain with a broken leg. Mental illness should be no different. My main message is that no matter how terrible you are feeling it can always get better. There is always hope. We have to keep talking about mental health. We have to become better at helping those who are suffering. We have to make it “normal” not awkward. We have to become more educated so we can help. We can’t bury our heads in the sand or look away anymore. Hannah Hardy-Jones is a mum of two from Christchurch, New Zealand. She is the founder of The Kite App, a personal development app for mums, due to launch in December. 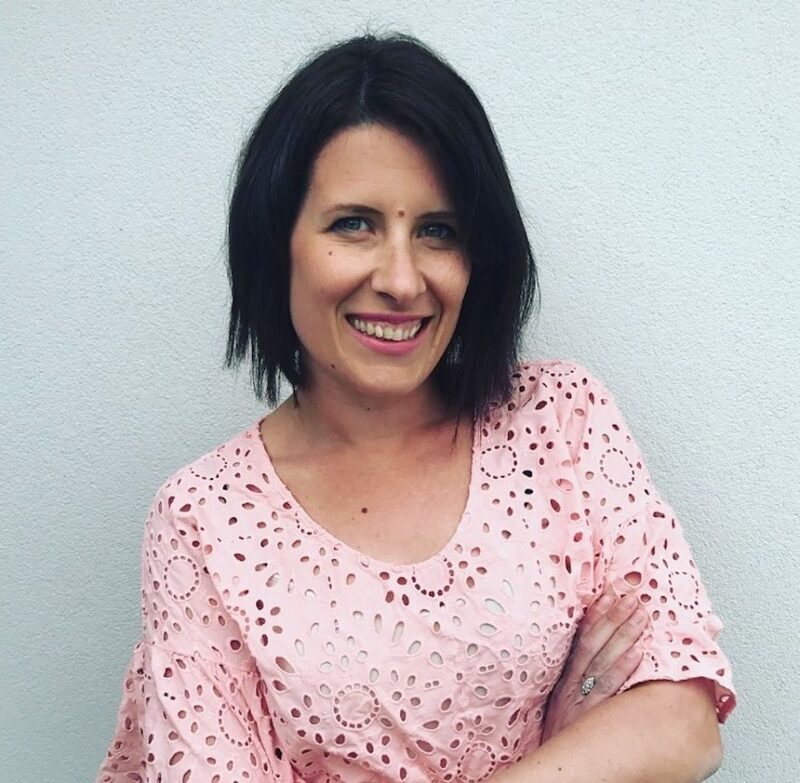 She also suffers from postpartum Bipolar disorder, triggered by the birth of her first child, and has started a blog to share her journey in the hope of raising awareness of this postnatal illness and to help break down the stigma that mental health has in our society. You can read more about her journey on her blog Rebuilding My Kite. If you or someone you know needs support you can contact LIFELINE on 131114, Post and Antenatal Depression Association Inc (PANDA) on 1300 726 306 or visit COPE.org.au for more information on pre and postpartum mental health.